Examine the fourth largest mental health problem in AmericaOCDand how YOU can help! Since obsessive-compulsive disorder affects 2.5% of the world population, someone you know is likely to have this disorder. 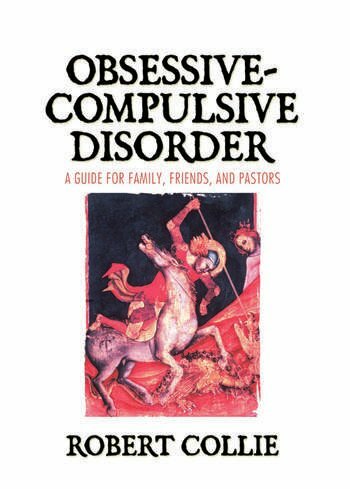 Obsessive-Compulsive Disorder: A Guide for Family, Friends, and Pastors is a handy physician's assistant that not only provides a fresh overview of OCD but also focuses on the issue of scrupulosityobsessive-compulsive anxiety over scruples in self and othersas a religious issue. Written by a pastoral counselor who is also a clinical social worker, this book will help you gain insight into the psychological and neurological dimensions of the disorder, the problems of those suffering from OCD, and the development of support groups. Written with extensive knowledge and deep compassion, Obsessive-Compulsive Disorder: A Guide for Family, Friends, and Pastors presents the latest information available on OCD and its effects upon sufferers and their personal relationships. The information is discussed in both pastoral as well as therapeutic aspects, explaining OCD in the brain, then continuing with ways to help a sufferer manage the conflict. Special attention is paid to the issue of scrupulosityseeing sin where there is no sinwhich is especially symptomatic for many Roman Catholics, Orthodox Jews, and Orthodox Muslims. Filled with insightful case studies and a useful bibliography, this book helps you understand OCD from all sides while giving effective strategies for individual and group therapy. A Guide for Family, Friends, and Pastors is for pastors, pastoral counselors, chaplains, lay ministries, social workers, psychiatric nurses, marriage counselors, and for anyone who cares about someone with OCD.